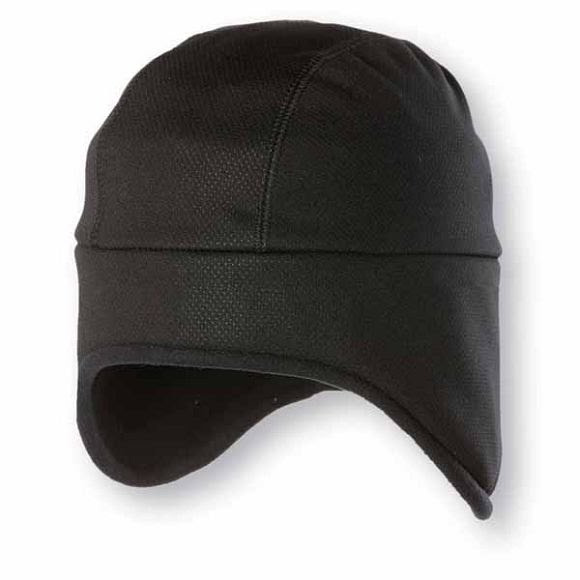 Utilizing Polartec WindShield fabric the Chaos Howler Peruvian Beanie will fend off the howling winds of winter whether you're out for a stroll on the town or 3 days in on a week long backcountry trip. Utilizing Polartec WindShield fabric the Chaos Howler Peruvian Beanie will fend off the howling winds of winter whether you&apos;re out for a stroll on the town or 3 days in on a week long backcountry trip. Wind resistant and highly breathable, providing 4 times the amount of wind resistance of a traditional fleece. Spanning an incredibly wide range of conditions, performing as outerwear or insulation and offering exceptional durability it&apos;s an incredibly versatile fabric that works year round in a variety of activities. Completely different than pictured. There are 3 different paterns. NOT plain black. There's a reflector/Logo. Bait and swiitch.